Crawley slipped to a narrow defeat in their first game without departed boss Harry Kewell. An eighth-minute goal by Gevaro Nepomuceno was cancelled out by a 22nd minute equaliser scored by Dannie Bulman. Reds missed a golden opportunity to take the lead in the first half when Ollie Palmer was denied from the penalty spot. 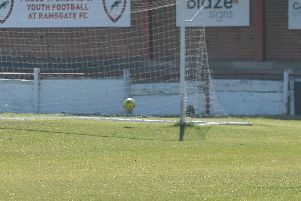 The Latics clinched victory in the 89th minute when Sam Surridge netted from George Edmundsen’s cross. Captain Jimmy Smith and fellow player Filipe Morais took charge of the team following yesterday’s departure of head coach Harry Kewell to Notts County. They named themselves in a starting line-up unchanged from the side which beat Bury 3-2 last Saturday. New signing centre-back Bondz N’Gala, whose former clubs include Dagenham & Redbridge, Portsmouth and Plymouth, had joined the club on Friday on a one-month contract and was named on the bench. He replaced Rob Milsom, who yesterday returned to his former club Notts County with Harry Kewell. Oldham made one change with Sam Graham replacing Andy Taylor. Smith went close to scoring on his managerial debut, his early volley forcing goalkeeper Daniel Iversen to make a save. The Latics took an early lead when Nepomuceno played the ball wide to Hunt, for a one-two before tapping the return ball into the net. N’Gala did not have long to wait to make his debut, coming on the field in the 21st minute to replace the injured Romain Vincelot. Bulman scored Reds’ equaliser moments later when he pounced upon a loose ball spilled by Iversen in keeping out an attempt on goal by Ollie Palmer. Crawley missed a chance to take the lead from the penalty spot awarded when Christopher Missilou brought down Ashley Nathaniel-George. Iversen kept out Palmer’s spot-kick with a dive to his left. In the second half Palmer looked dangerous when he out-jumped the defence to nod a cross by Dominic Poleon on target but the ball was gathered by Iversen. Reds brought on Panutche Camara upfront in place of Poleon for their second substitution. Camara and Morais both had shots blocked beofre Palmer played the ball to an offside Nathaniel-George. At the other end Morris made a brilliant save to deny an unmarked Callum Lang, who later found the net but had his goal disallowed for offside. Oldham scored the winner in the last few minutes when Edmundson crossed and Surridge got the last touch.